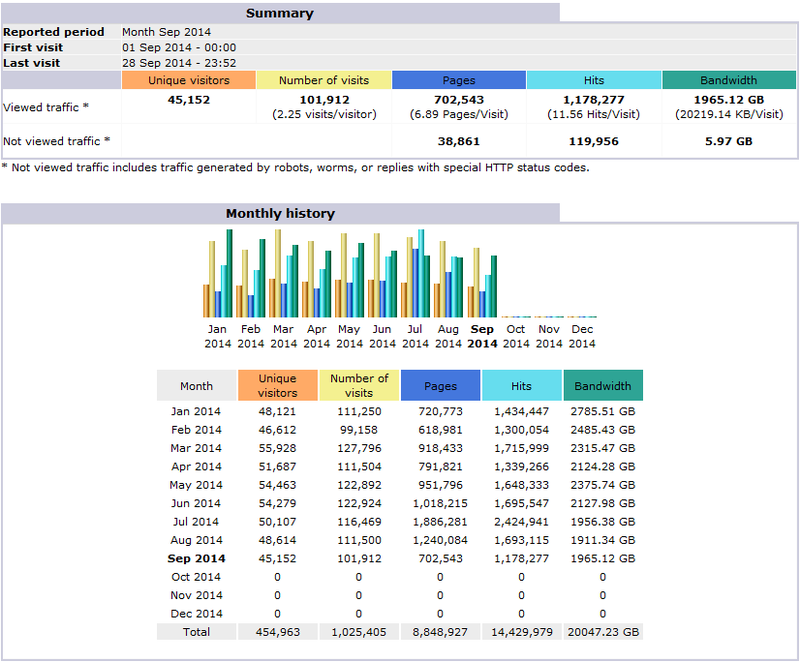 Here are some statistics on my web site. In 2007, I had the T01 "Terabyte" package from Globat (www.globat.com), with 25 GB storage and 300 GB/month transfer capacity. 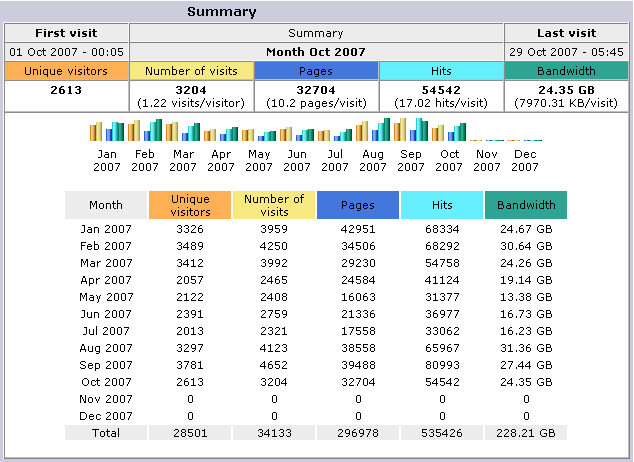 As of October 2007, I used about 9 GB for storage and 230GB/month of bandwidth and I had about 300,000 page views/month. Overall, the Manuals are by far the main attraction, with about 90% of the visits (evenly split between Test Equipment and Ham Radio). The Tower page is a distant second.